When you are on the run, and you need to pick up some quick sustenance, protein bars come to mind as a healthy fix to tide you over until your next meal. In Part 1 we discussed what I look for in a good protein bar and examined a couple popular examples. Here are two more. Label Claim: Nourishing food bar, made with fruit and whole cereal grains. Organic rolled oats, brown rice syrup, grape juice concentrate, peanut butter (peanuts and salt), dry roasted peanuts, chocolate chips (organic evaporated cane juice, chocolate liquor, cocoa butter, soy lecithin, ground vanilla beans), date puree, plum puree, peanut flavor, vegetable glycerin, crisp rice (rice flour, rice bran and rosemary extract), organic oat flour, organic soy nuts. Less than 2% of: organic sunflower oil, calcium carbonate, natural flavors, vitamin C (ascorbic acid), salt, baking soda, soy lecithin, vitamin E (D-alpha tocopherol acetate) and folic acid. Pros: Mostly whole and natural ingredients, some organic, first ingredient is not a sweetener, high fiber, low sodium, good size bar in grams, fair amount of protein, fairly low in calories (4 calories per gram). Cons: Carbs a little high, not many vitamins and minerals. My Vote: B, there are some better choices, but overall, this is a fairly good one. Chocolatey coating (sugar, fractionated palm kernel oil, alkalized cocoa, whey, nonfat milk, soy lecithin, vanilla), caramel (corn syrup, sugar, cream, water fructose, palm oil, soy lecithin, salt, disodium phosphate, natural flavor, carrageenan), corn syrup, Trisource™ protein blend (whey protein isolate, calcium caseinate, soy protein isolate), maltitol syrup, glycerin, soy crisps (soy protein isolate, tapioca starch, salt), peanuts, peanut flour, natural flavor (contains milk, peanut, soy lecithin), peanut butter, oat fiber, inulin, maltodextrin, soy lecithin, salt, almond butter. Pros: High in fiber, low sodium, good size bar in grams, good amount of protein, fairly low in calories (4 calories per gram), some vitamins and minerals. Cons: First ingredient is “chocolatey coating” not a good sign, lots of sugary ingredients, not many natural/whole ingredients, no organic, carbs a little high. 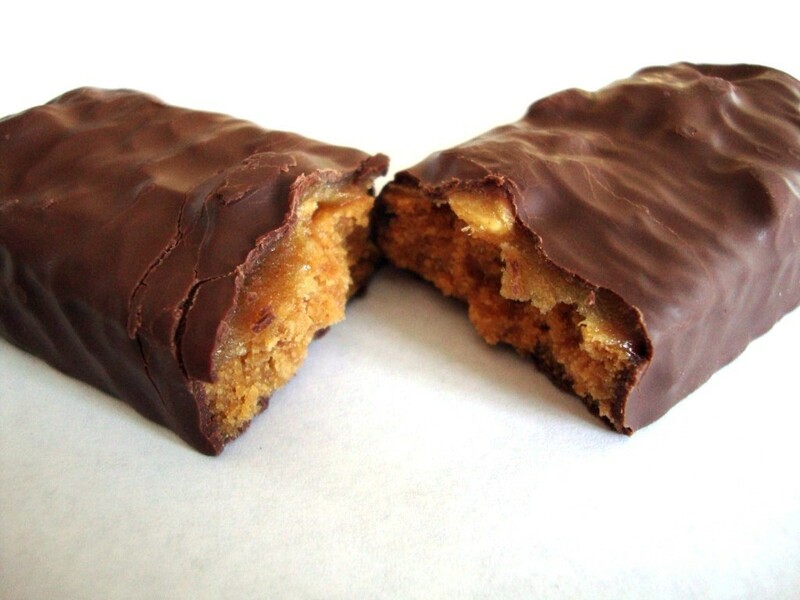 My Vote: C. Another candy bar in disguise. So what if you are like me, and you have a sensitive tummy, and/or you really would rather take it a step further toward whole ingredients (you fellow food snob, you!)? 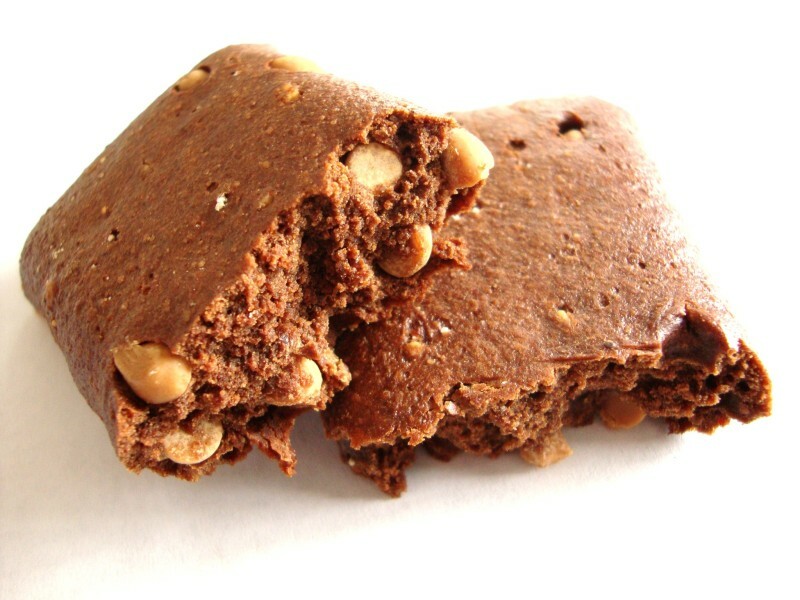 Here are a few of my favorite homemade protein bar recipes.